New Orleans skate shop Humidity has teamed up with Nike Skateboarding to release a jazz-inspired SB Dunk High. 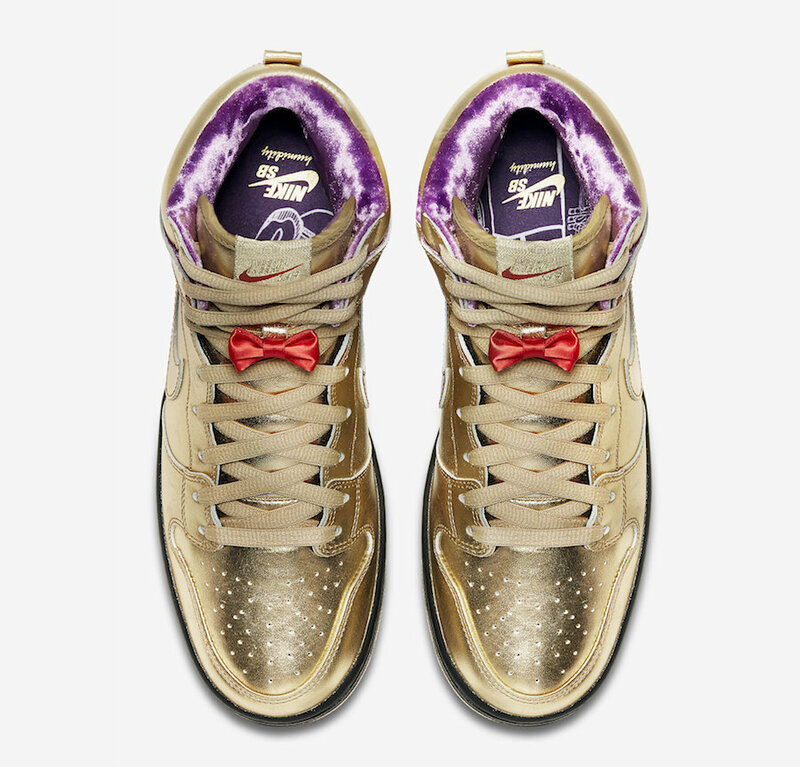 Drawing inspiration from iconic cues of the Big Easy, this Nike SB Dunk High dubbed “Trumpet” comes dressed in a Metallic Gold upper with a Red bow tie on the tongue as a nod to the most influential jazz musician of all-time: New Orleans—born trumpeter Louis Armstrong. Finishing off the theme is a premium velvet lining nods to the inside of musical carrying cases and musical notes printed on the translucent outsole. 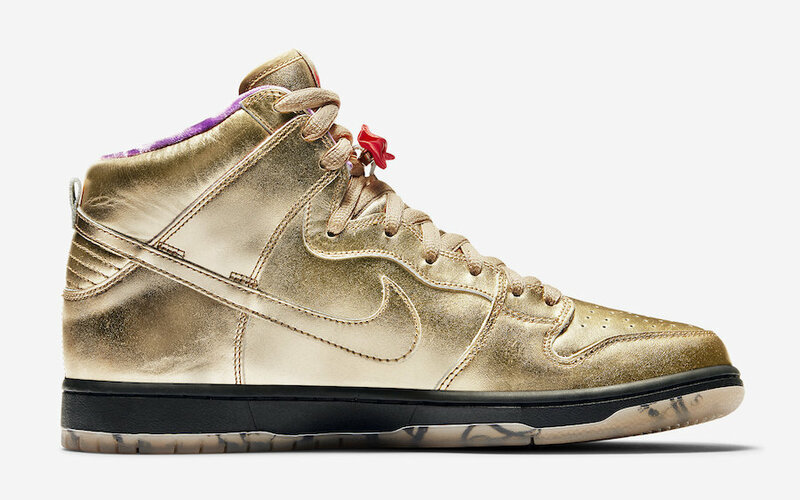 Look for the Humidity x Nike SB Dunk High “Trumpet” to release on September 22nd at select retailers and Nike.com. The retail price tag is set at $110 USD. 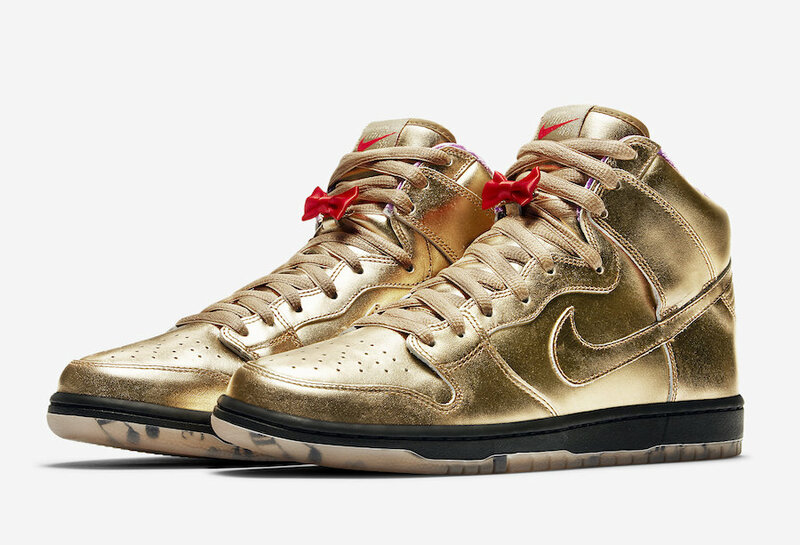 UPDATE: Nike releases official photos of the Humidity x Nike SB Dunk High “Trumpet” that will release on September 22nd.